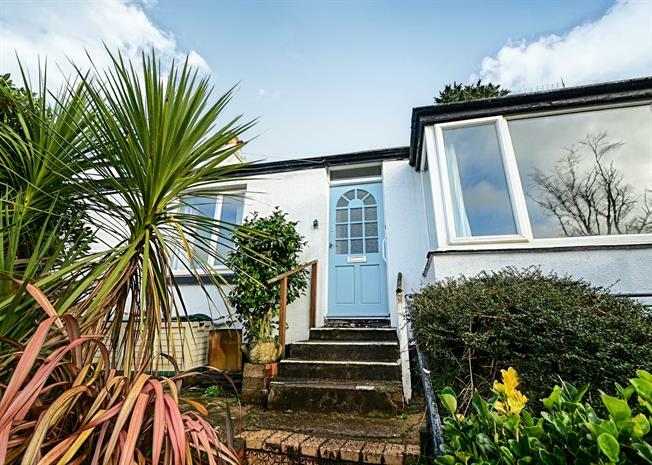 3 Bedroom Semi Detached Bungalow For Sale in Teignmouth for Asking Price £325,000. Set in the picturesque village of Shaldon is this 3 bedroom semi detached bungalow that has the 3rd bedroom loosely set as an annexe with its own en-suite. Modern kitchen diner and bathroom. On road parking at the front and rear garden with countryside views. Viewings are recommended. Double glazed uPVC window to the rear aspect over looking the patio area. Wall mounted radiator, central ceiling light, picture rail and wooden floors. Double glazed uPVC obscure window to the rear aspect. Tiled bath with ornate taps, pedestal wash hand basin, low level WC and shower cubicle with sliding doors and mains shower. Ladder style towel rail. Wall mounted radiator, loft access, plate rack. Door to annexe, double glass doors into the lounge and door to the hallway. Tel point. Double glazed uPVC bay window to the front aspect. Picture rails and fireplace with wooden mantle over. Wall mounted radiator and central ceiling light. Exposed wooden floorboards. Double glazed uPVC door and window to front over looking the front aspect and double glazed uPVC door and window leading to the patio area at the rear and the garden beyond. Two wall mounted radiators, spot lights and TV and telephone point. Vanity sink unit with mixer taps, low level WC and ladder style radiator. Shower cubicle with electric Mira shower, concertina door and tiled walls. Double glazed uPVC window, spot lights and tiled walls. Steps lead up to the front door with mature shrubs to either side. Steps to the annexe entrance and side access to the rear garden with patio area outside the rear annexe door. Steps lead up to the tiered garden with both decked seating area and lawn area. Views across the countryside.